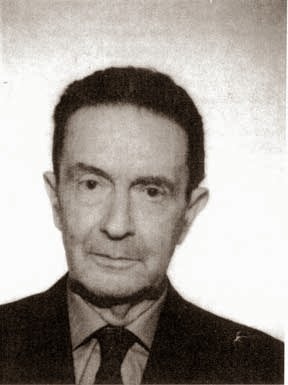 Sebastiano Timpanaro believed that ‘the agreement between materialism and Leopardian pessimism had its basis in hedonism; and hedonism is the basis of all scientific systems of ethics’ (On Materialism p.66). I have already critiqued Timpanaro’s concept of ‘materialist pessimism’ (Psyche and Society 11: 2 December 2013, 7-15). Let us now turn to the issue of hedonism1 vis-à-vis materialism, particularly Marxism. Like optimism and pessimism, hedonism and asceticism or, in today’s terms, consumerism and abstinence/self-denial, do not normally appear in the studies of Marxism; nor has Terry Eagleton in his recent delightful work, Why Marx was Right (2011) included it as a query to be answered.2 Similarly, authors concentrating on Marxist morality, and, for that matter, the ethical foundations of Marxism, generally do not seem to be concerned with the issues that Timpanaro raises.3 Yet the issues themselves are not of a trifling nature; they do demand a new look. It is all the more necessary to review the matter, because Timpanaro does not refer to Marxism alone but to materialism as a whole. Therefore a brief historical overview of hedonism vis-à-vis materialism is called for. ‘The philosophy which preaches enjoyment is as old in Europe as the Cyrenaic school [see note 1 below]. Just as in antiquity it was the Greeks who were the protagonists of this philosophy, so in modern times it is the French, and indeed for the same reason, because their temperament and their society made them most capable of enjoyment. The philosophy of enjoyment was never anything but the clever language of certain social circles who (sic) had the privilege of enjoyment. Apart from the fact that the manner and content of their enjoyment was always determined by the whole structure of the rest of society and suffered from all its contradictions, this philosophy became a mere phrase as soon as it began to lay claim to a universal character and proclaimed itself the outlook on life of society as a whole. It sank then to the level of edifying moralising, to a sophistical palliation of existing society, or it was transformed into its opposite, by declaring compulsory asceticism to be enjoyment.’ (GI pp.469-70). Marx and Engels, not to speak of Lenin and his successors, did not deal with the question of materialism vis-à-vis hedonism in their later writings. As shown above, Marx and Engels had made up their mind about this in their early phase, when they were engaged in the exercise of ‘self-clarification’.6 Yet Timpanaro states almost as an established fact that hedonism is as much a part of materialism as pessimism. This is an example of blatant revisionism in the domain of philosophy. However, in order to refute Timpanaro’s claim, we need to study the development of Marx-Engels’ approach through the stages they underwent in formulating their approach to human life and its goals. Let us examine the case against the backdrop of the development of Marx’s and Engels’s outlook in this regard from EPM (Economical and Philosophic Manuscripts of 1844, also known and often referred to as ‘Paris Manuscripts’), through GI (The German Ideology, 1845-46), to CM (Communist Manifesto, 1847-48). To the readers: Quotations from some sources, more particularly from the works of Karl Marx and Frederick Engels, unless otherwise mentioned, are taken from the texts available in the Marxist Internet Archive. For facilitating references and locating the exact place, the page numbers in the print versions are also given, although the translations will vary to some extent. In order to have a general understanding of hedonism as a technical, philosophical term, see ‘Aristippus of Cyrene (c. 435-350 BC),’ ‘Cyrenaics,’ and ‘hedonism’ in Blackburn (or any other dictionary/encyclopedia of western philosophy). See also Shields, and Tännsjö. See, for instance, Bottomore and others (eds.). There is no article on hedonism and no reference to it in the article on ethics. See also Eagleton. See the works by Ash, Kamenka, and Sayers, devoted exclusively to the place of ethics in Marxism. For a bird’s-eye view of Epicurus and his philosophical views, particularly ethics, see Bogomolov, pp. 259-78 and Shields (ed. ), pp. 237-50. Marx and Engels did not succeed in publishing German Ideology in book form in their life time. The ms lay ‘abandoned to the gnawing criticism of the mice’. But they were not overly concerned, for the main purpose behind writing the book was to achieve self-clarification, and they felt they had achieved it. See GI, pp. 13 and 681-82 n1. In another edition of Axel published by J. M. Dent et Fils, the sentence occurs on p. 260. The play, otherwise insignificant, is widely known for this speech alone. For a somewhat different translation of this highly significant passage see Capital (Penguin Books), vol.1, 7:1, p. 284. Aristophanes. The Knights, Peace, The Birds, The Assemblywomen, Wealth. Trans. David Barrett and Alan H. Sommerstein. Harmondsworth: Penguin Books, 1978. Ash, William. Marxism and Moral Concepts. New York: Monthly Review Press, 1964. Ash, William. Marxist Morality. London: Howard Baker, 1988. Bhattacharya, Ramkrishna. Studies on the Cārvāka/Lokāyata. Firenze (Florence): Societa Editrice Fiorentina, 2009; London: Anthem Press, 2011. Blackburn, Simon. The Oxford Dictionary of Philosophy. Oxford: Oxford University Press, 1994. Bogomolov, A. S. History of Ancient Philosophy: Greece and Rome. Moscow: Progress Publishers, 1985. Bottomore, Tom and others (eds). A Dictionary of Marxist Thought. New Delhi. Maya Blackwell/ Worldview, 2000 (second edition). C/L Cārvāka/Lokāyata. Ed. Chattopadhyaya, Debiprasad in collaboration with Mrinal Kanti Gangopadhyaya.. New Delhi: Indian Council of Philosophical Research/Rddhi India, 1990. Concise Oxford English Dictionary. Twelfth Edition. Eds. Angus Stevenson and Maurice Waite. Oxford: Oxford University Press, 2011. Dante. The Divine Comedy. Translated by J. A. Carlyle (Inferno), T.Okey (Purgatario), and P.H. Wicksteed (Paradiso). New York: Vintage Books, n.d.
Eagleton, Terry. Why Marx was Right. Kolkata: Seagull Books, 2012. Engels, Frederick. Anti-Dühring. Moscow: Progress Publishers, 1977. Engels, Frederick. Dialectics of Nature. Moscow: Progress Publishers, 1982. Hegel, G.W.F. The Philosophy of History. New York: Dover Publications, n.d.
Kamenka, Eugene. The Ethical Foundations of Marxism. London and New York: Routledge and Kegan Paul, 1962. Kamenka, Eugene. Marxism and Ethics. London: Macmillan, 1969. Krishnamishra. Prabodhacandrodaya. Ed. and Trans. by Sita Krishna Nambiar. Delhi: MLBD, 1971. Langland, William. The Book concerning Piers the Plowman. Rendered into modern English by Donald and Rachel Attwater. Ed. Rachel Attwater. London: Dent/Everyman’s Library, 1967. Lenin. V.I. Philosophical Notebooks. Collected Works, Vol. 38. Moscow: Foreign Languages Publishing House, 1961. Marx, Karl. Capital. Vol. I. Trans. Ben Fowkes. Harmondsworth: Penguin Books, 1976. Marx, Karl. Difference between the Democritean and Epicurean Philosophy of Nature in: Marx-Engels, Collected Works (MECW), Vol. 1. Moscow: Progress Publishers, 1975. Marx, Karl and Frederick Engels. Manifesto of the Communist Party. Moscow: Foreign Languages Publishing House (FLPH), n.d.
Marxist update: Anon. Philosophy of hedonism. http://marxistupdate.blogspot.in/2011/10/philosophy-of-hedonism.html downloaded on 27.2.2014. Mazzeo, Joseph Anthony. Dante and Epicurus, Comparative Literature, 10:2 Spring 1958, pp.106­-20. Packard, Vance. The Hidden Persuaders. New York: David McKay Co., 1960. Ryazanoff, D (ed.). Communist Manifesto of Karl Marx and Frederick Engels. Calcutta: Radical Book Club, 1972. Sayana-Madhava. Sarvadarsanasamgraha, Chap. 1. See C/L. Shields, Christopher (ed.). The Blackwell Guide to Ancient Philosophy. Malden MA: Blackwell Publishing, 2006. Thomson, George. The First Philosophers (Studies in Ancient Greek Society, vol. 2). London: Lawrence & Wishart, 1955. Timpanaro, Sebastiano. On Materialism. London: Verso, 1980. Acknowledgements: Amitava Bhattacharyya, Amlan Dasgupta, Chinmay Guha, Debapriya Pal, and Sunish Kumar Deb. The usual disclaimers apply.